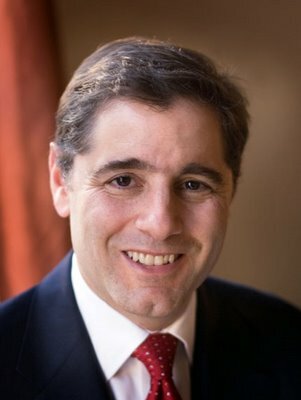 Federal Communications Chairman Julius Genachowski is expected to deliver a speech at the Brookings Institute in Washington, D.C today that many hope will announce a plan by the FCC to create Rules regarding “network neutrality” (a state of existence where ISPs are not able charge varyng rates for different levels of service). In other words, no matter what web site a visitor goes to it will be delivered at the same speed as any other .For example, our Fliggo videos would load just as quickly as You Tube videos. As a technology adviser to President Obama during the presidential campaign, Genachowski was pivotal in convincing candidate Obama to come out in support of network neutrality rules. If these riles are enacted, there will be profound effect on the future of the internet. There has been a great fear for supporters of net neutrality that the ISPs could become “gatekeepers” and act much like cable TV companies that charge consumers extra to access “premium” channels such as HBO and Showtime. Of course the ISPs are not infavor of essentially government regulation of the internet citing that this would in actuality go against President Obama’s major goal of bringing broadband to the masses. Providers such as Comcast and AT&T, for example, say that they need more capital to allow better service and the best way to do this is to charge for different tiers of service.